Gurunanak Institute of Technology (GNIT) was established in 2003 at Panihati, West Bengal and belongs to the very eminent JIS GROUP Educational Initiatives. The institute, with a sprawling campus, has a state of the art infrastructure with excellent LAN/WAN connectivity, broadband internet facilities. The institute is built over 7 acres of land with huge built up area of about 23,102 sq. mt-rs.. A Faculty comprising over 100 Professors, Associate Professors & Asst. Placements: Our Mission is to improve the technical education in West Bengal and lad it to a center of excellence in the technical education by maintaining high standard of technical and learning process..
Disseminating technical knowledge and education. Providing an excellent infrastructure facilities and efficient team of faculty members. The rural underprivileged students are trained to empower themselves and contribute to nation building specially in the field of technical education. The students and faculties have a symbiotic relationship and are encouraged for doing research, consultancy and patent their work. Campus: Gurunanak Institute of Technology (GNIT) was established in 2003 at Panihati, West Bengal and belongs to the very eminent JIS GROUP Educational Initiatives. The institute, with a sprawling campus, has a state of the art infrastructure with excellent LAN/WAN connectivity, broadband internet facilities. The institute is built over 7 acres of land with huge built up area of about 23,102 sq. mt-rs.. A Faculty comprising over 100 Professors, Associate Professors & Asst. Professors assists the students with State of Art equipment. The campus has 32 Class Rooms, 2 AC Conference halls, 300 seats seminar hall, 51 laboratories, over 600 computers with Leased line and Wi-Fi connectivity and a library consisting of over 41182 books and 296journals. The institute is accredited by TCS, has MOU with Infosys to conduct “Campus Connect Programme”, has a strong Training and Placement Cell that has star companies invited in the campus for eligible students. About 25% of their faculty are PhD Degree holders, faculty members are encouraged regularly to present papers in national and International conference and seminars – the dedicated faculty regularly publish books and research papers and already 2 patents have been filed by the institute which is a reflection of its R & D activities and commitment to innovation. Central library: Guru Nanak Institute of Technology we always believe a library is the repository of knowledge. The information revolution means that escalating amounts of information are available to you for learning. To study you will use a mixture of printed books, journals and electronic materials. To get the right reference materials you can take the guidance from the experienced library staff. There are huge number of books and journals in the library for students’ reference. In addition there are more than hundred e-journals and magazines for students to get updated information. The Guru Nanak Institute of Technology library is also institutional members of British Council Library. Our Library is also a member of the Indian National Library in Engineering Science and Technology (INDEST) which is managed by IIT- Delhi. Consequently, the faculty, staff and students get access to more than 200 on-line journals, magazines of IEEE and IEE. The Library is fully automated with LIBSYS facility. ‘Book Bank’ facility is provided to students of several streams in lieu of which the students get some basic text book to be used by them for a semester. Members of book bank are issued four text books for the entire semester period. Book Bank members are also allowed to use Central Library as regular students. 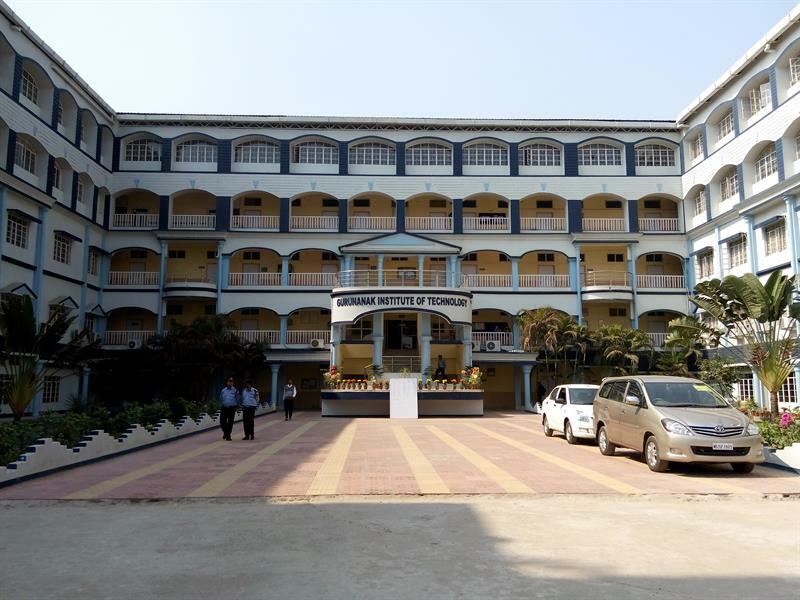 Hostel: Separate Boys & Girls hostel are available both in outside and inside of the campus. For Girls total 120 seats are available and for Boys 180 seats are available. All hostels are facilitated with Internet connectivity. Quality foods are being provided to the students. All hostels are governed by the Hostel Administration Committee. Separate Hostel Superintendent & Hostel Wardens are there to look after the students.